Leggings are a stylistic adaptation characteristic of modern sensibility. There are quite a few dance studios who are incorporating such modern costuming options into their routines, and the effect is striking. With a lot of dance numbers, there is a sort of “baroque” quality incorporated that can alienate or estrange the audience. It doesn’t matter how well the dancers perform classic dance moves if they’re not connecting to those that the performance is aimed at. Certainly a dance studio with young girls may seek to show parents the variety of color in the dance palette used to paint the performance throughout rehearsal. And, oftentimes, variety is desired. While certain studios specialize in one particular dance genre or another, increasingly the demands of parents and pupils alike tend toward multiple kinds of movements. Dance is like music, but it’s not. It’s like music in that it’s a medium of artistic expression on similar aesthetic grounds. It’s not in that educational parameters vastly differ. When it comes to music, you’re primarily going to rely on western notation. That is: the treble clef, the bass clef, sheet music, keys represented by sharp and flat symbols in the margins, time signatures—the list goes on. But when you compare that to dance, things change. For perspective: conventional “classical” sheet music is like the “ballet” of music. But jazz dance, modern dance, hip-hop, swing, tap, and ballet all require a great degree of discipline and practice over time. Also, the demand today is a sort of gestalt configured from all these genres into a singular performance. It’s like being able to go down a dance buffet and incorporate a dollop of everything on your viewing plate. What this means is that dance studios who seek to be the most effective, popular, engaging, interesting, and sought in local communities will naturally push toward a high degree of uniqueness in performance. To that end, they’ll need costuming solutions which have a certain “custom” design to them, but which are made to stand the abuse of dance. Many professional dancers will spend as many hours refining the choreography behind a “scene” as a conventional office worker will spend behind a desk in a normal work week. These rehearsals can go on for months before a performance begins. In fact, with many small-town, local companies, the rehearsal time is much greater than that of performance. Certainly on Broadway, in Vegas, in LA, and cities where dance troupes perform lengthy shows, the case differs; but in either scenario, you want dance costumes that can withstand the punishment of continuous rehearsal, and the prospect of continuing performance. Add on top of that the need for unique design, and sourcing costuming becomes difficult. When you can find a dance apparel provisions solutions like this, you can ensure the costuming of your performance appears precisely as you need. You can also be assured that the costumes will take the abuse of multiple practices and performances, as they’ve been designed by passionate artisans integrally involved with the art. In most aspects of performance, the finest solutions will serve to create better shows. With custom dance leggings, you can individualize your performance in a reliable way that is additionally very cost-effective. 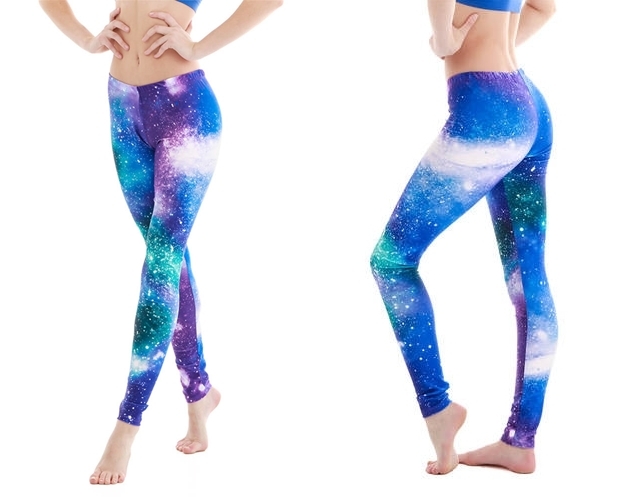 Well, I didn't know that there are leggings particularly for dancers. I thought they are all the same. The colours look extremely striking, though. striking leggings! definitely will keep my exercise mode on all the time!